Thinking about joining Kenilworth Lions? 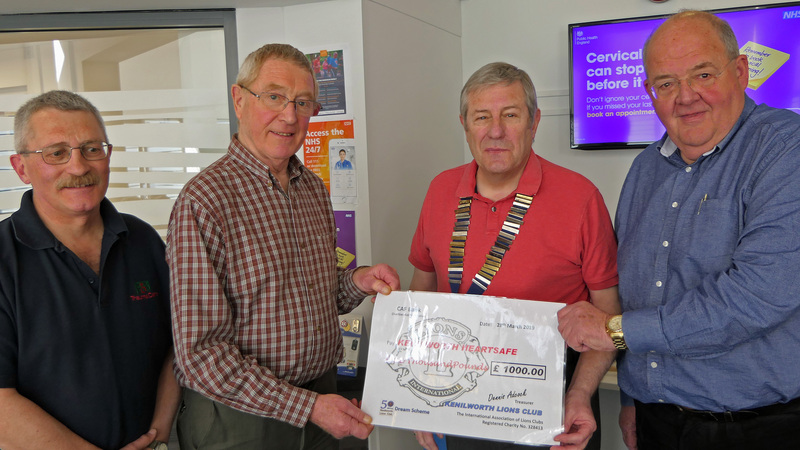 Kenilworth Lions Club consists currently of 47 members, making it one of the largest Lions Clubs in the region. It is part of the Lions Clubs International (LCI) organisation, operating in 200 countries around the world. LCI celebrated its centennial year in 2017, and our local club is celebrating its 50th anniversary throughout 2019. Club meetings are held on the second Monday evening of each month, alternating between the Sports & Social Club and the Clarendon Arms (with meal available). 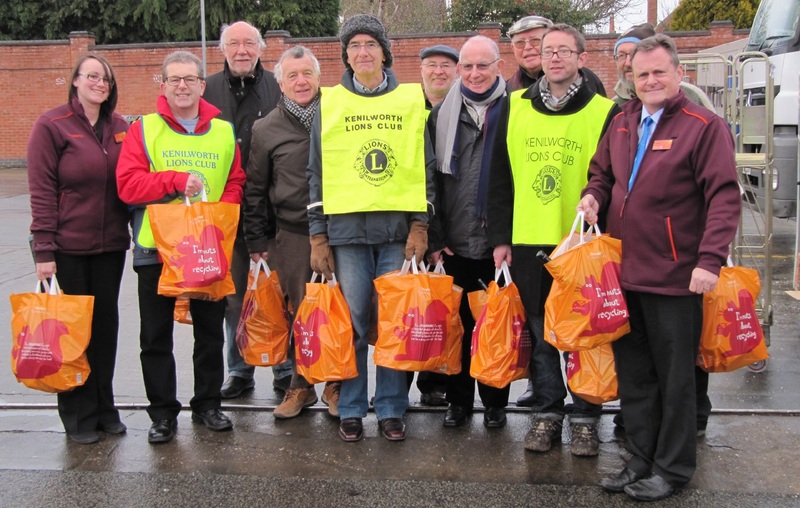 What do Kenilworth Lions do? We run a Second-hand Furniture Store & Bazaar from premises in Farmer Ward Road throughout the year, except for a short Christmas/New Year break. 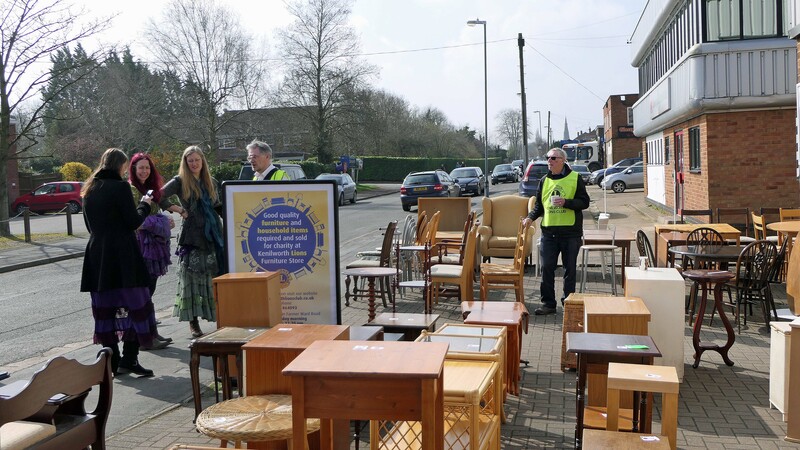 This sells a wide range of pre-owned furniture and bric-a-brac donated by members of the public, and organises van pick-ups and deliveries to homes within a defined radius. 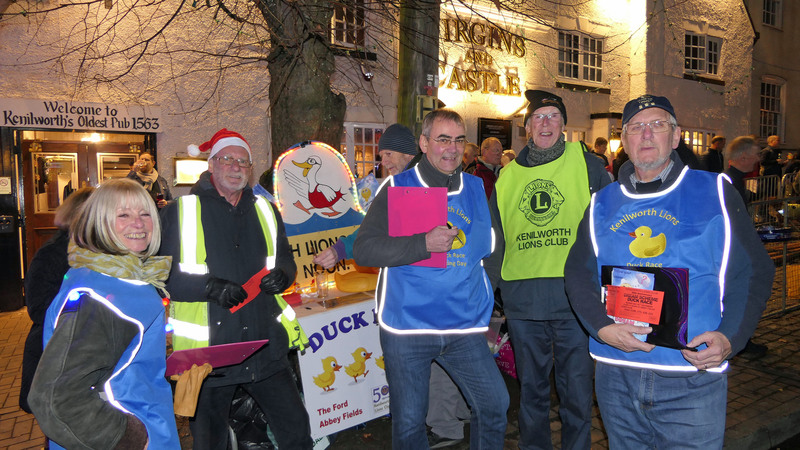 We organise and run three of the largest and best loved events in the Kenilworth community calendar – the Grand Show in June, the outdoor Carol concert just before Christmas, and the famous Boxing Day Duck Race. We also organise smaller and one-off events through the year. With the proceeds from these activities and events, we are a major donor to local charities and organisations, with total donations now approaching £50,000 a year. Over the last 50 years, our total donations exceed £750,000. What are the benefits of becoming a Lion? We’re a friendly group of individuals from all sorts of backgrounds, bound together by a common desire to put something back into our local community, and to have fun while we’re doing it. 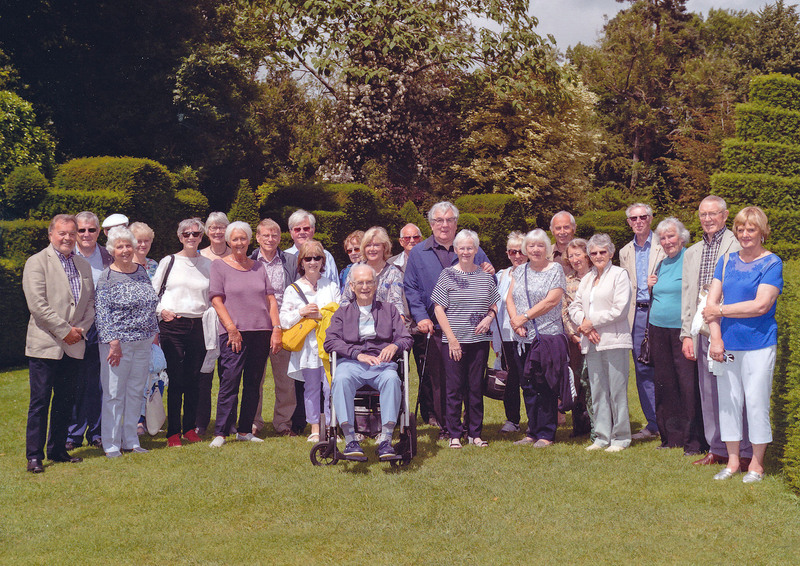 We run a full programme of social activities throughout the year, involving club members and partners, with hopefully something for everyone to enjoy. Already timetabled for 2019 are a skittles evening, quiz night, trip to Brooklands Museum, Safari Supper, trip to Chavenage House, charter/changeover dinner and trip to Crich Tramway Museum. That’s largely up to you, depending on how much time you can afford to give and what your interests are. Some members get a lot of enjoyment from working regularly at the Furniture Store on Saturday mornings, with the great sense of camaraderie that this brings. Others get involved in helping to organise one or more of our public events, our social events, or behind-the-scenes activities like publicity, equipment etc. We ask all members to attend the monthly Club meeting if they can. This helps to strengthen our togetherness as a Club, and to get everyone involved in what is happening through the year. Contact our Membership Director, Lorraine Daniels, at lorrainekenlions@gmail.com or by phoning 01926 852658. Alternatively, you can drop into our Furniture Store any Saturday morning between 9.00 am and 12.30 pm, to come and talk to us about what becoming a Lion involves.